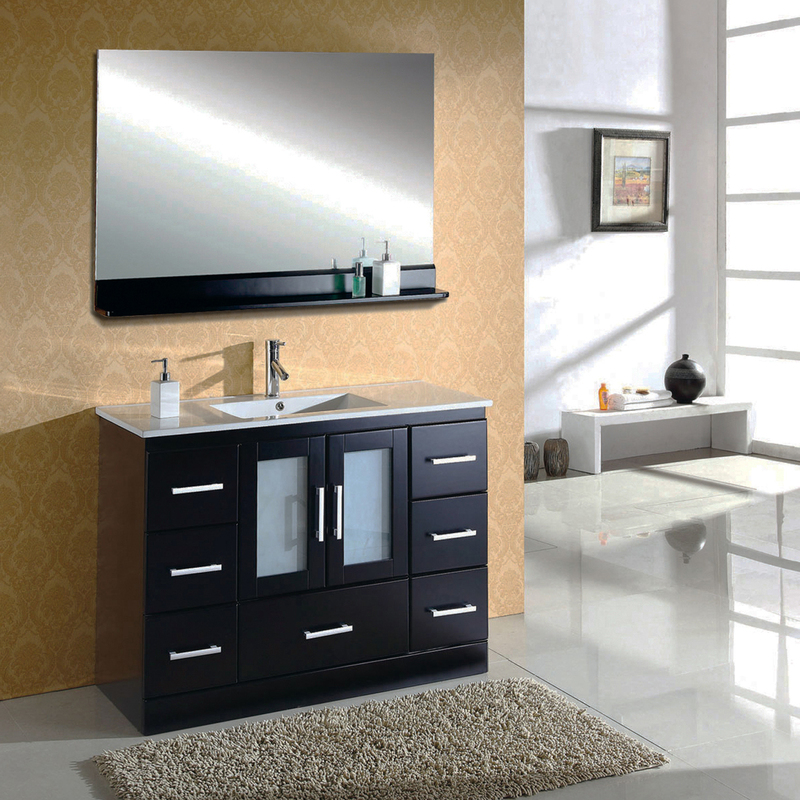 The 47.25" Zola Single Bath Vanity set features a contemporary design with sleek lines. 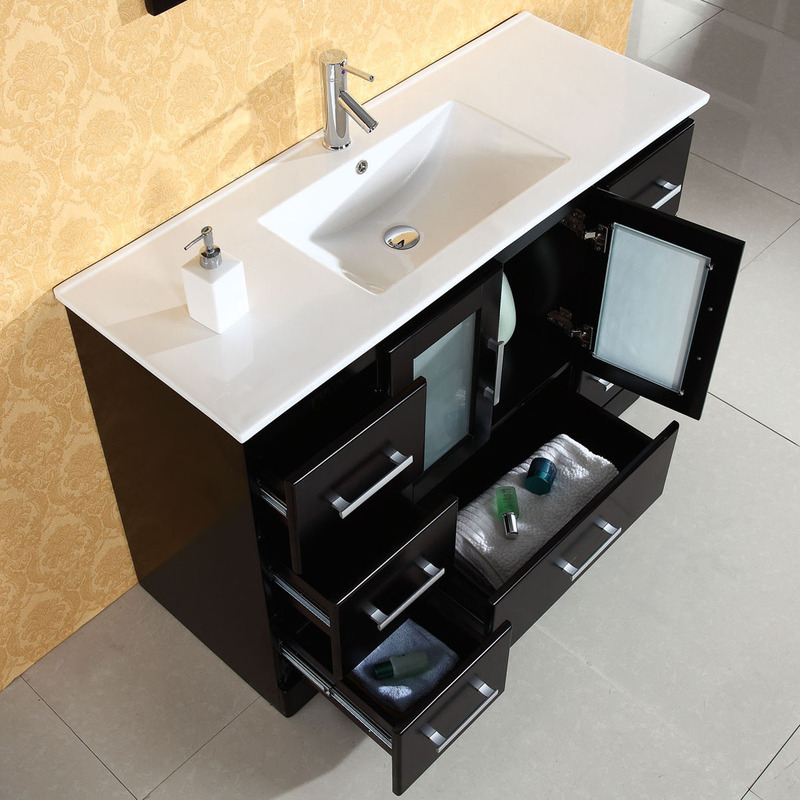 The vanity offers maximum storage with two doors and seven storage drawers. It is constructed from eco friendly rubberwood, quality handcrafted and finished in espresso. The Zola is equipped with metal ball bearing sliders and soft closing doors. The stone top basin utilizes maximum counter top space. 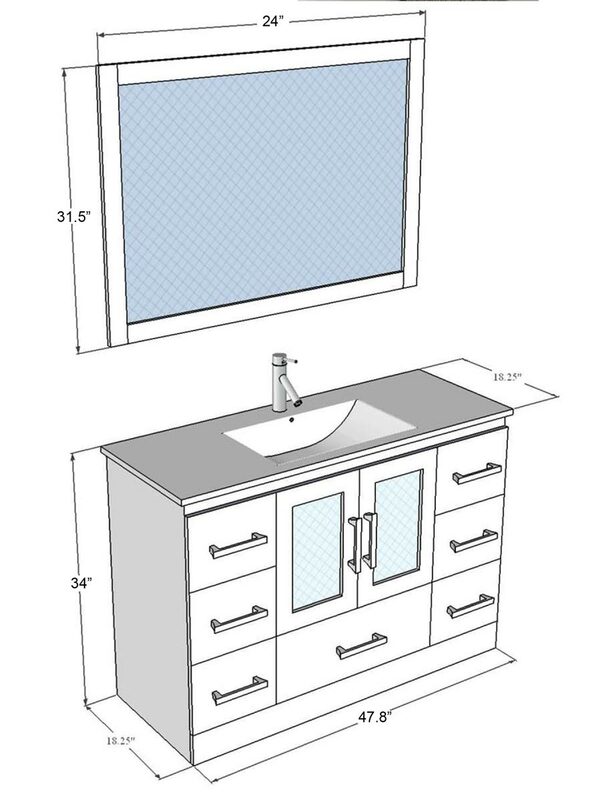 The Zola vanity set is equipped with a faucet, drain assembly and matching mirror.